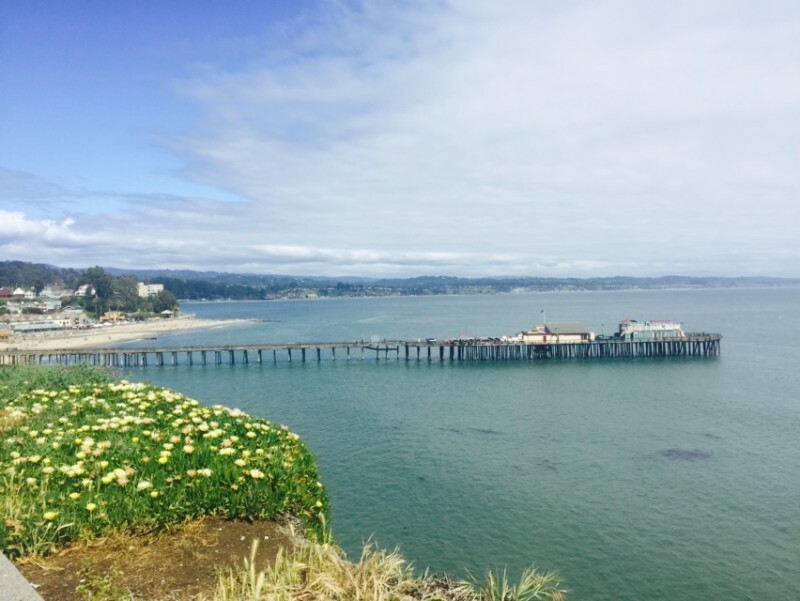 Featured Beach House: Capitola Lawn Way Cottage, just around the corner from the Capitola Beach and many amazing restaurants, bars, cafes and shops. This adorable and stylish dog friendly 1 bedroom, 1 bathroom beach house cottage sleeps up to 4 guests. With brand new furnishings and a peak of the ocean from the living room, this lovely beach house is perfect for a small family, friends or a couple’s romantic getaway to the coast. The house is well equipped with a fully stocked kitchen, cable TV and wireless internet. A Night Around Town: Walk right across the street from your beach house to Caruso’s Italian Restaurant, a romantic restaurant with authentic Italian cuisine. Get a couple of dishes and a bottle of wine to share at this lively yet intimate spot. You won’t be disappointed with the gnocchi italia, potato dumplings with 3 different sauces. Next, head to the Sand Bar for live music and an after dinner cocktail. When you need a break from the band, head to the outdoor balcony for some fresh air. You’ll get a beautiful view of the village’s lights twinkling on the water. Call it an early night and head back to your cozy Captiola Lawn Way Cottage for an evening bath, or stream a movie on the living room flat screen. The Perfect Morning: The next morning, get woken up by the sound of waves gently breaking. Roll out of your comfy bed and head straight to the beach. There’s nothing like gazing out at the calm water in the early morning before the crowds arrive. With coffee in hand, walk the 30 second stroll to the sand. 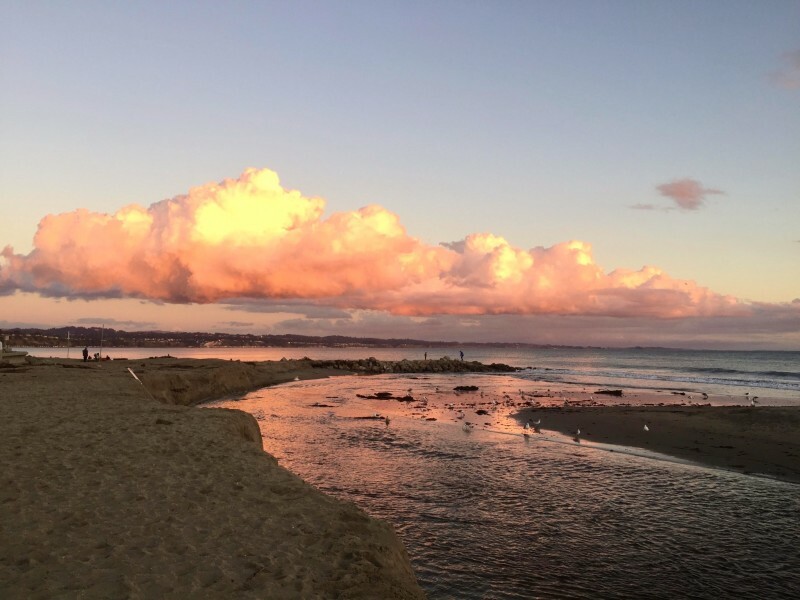 Take your time walking along the shore, make your way under the Capitola Wharf and then up to the cliffs above for some spectacular views of the sunrise in Capitola. Sunday Picnic: Walk the 10 minute lovely stroll to famous Gayle’s Bakery in the morning to beat the crowds. Grab some sandwiches, sides, drinks and of course, dessert. Take a pastry break in the spacious and bright Gayle’s seating area and take a moment to relax over coffee and a croissant. 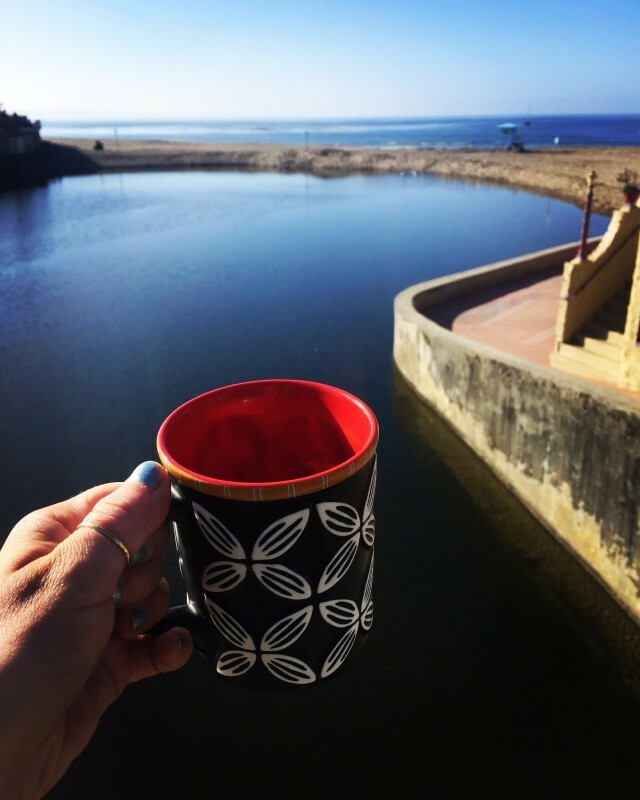 Then take your time back to your beach house, stop at the jewelry and antique shops along the way, wander into art galleries or stop into the Capitola History Museum. By the time you get back to your beach house, it’s lunchtime! 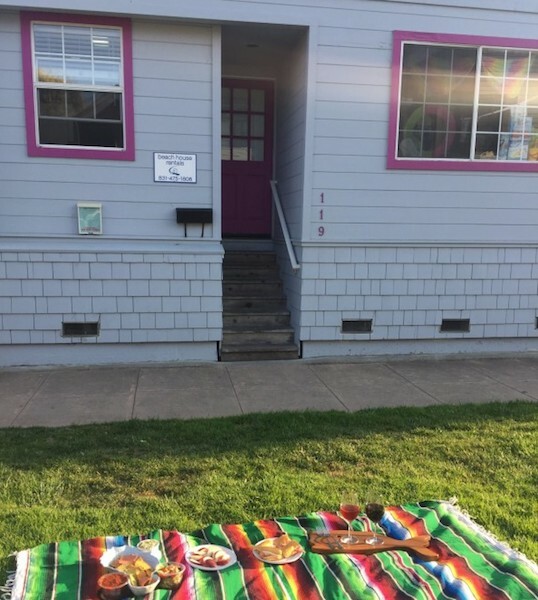 Lay out your best blanket on Lawn Way in front of your Capitola Lawn Way Cottage and spread out the goodies you collected this morning. It’s all about presentation so make sure you’ve got it set up in a way to make the passers-by jealous of your fun. Open a bottle of wine, pour a couple of glasses and get to enjoying your picnic. Fetchmyvr is your source for professionally managed vacation rentals from around the world. Our network is comprised of Professional Vacation Rental Hosts who are the authority on every property listed, locations, amenities and quality services that make up the vacation rental experience. You and your family can rest assured that on the other end of your inquiry is a professional that has all the intimate details of the vacation home you have requested and your vacation destination. 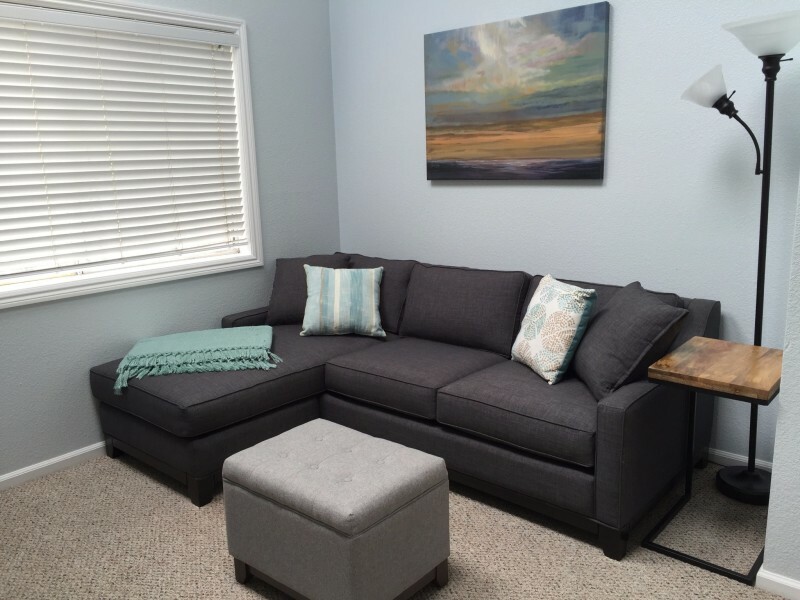 This entry was posted in Featured, Local Loop, Vacation Rental Escapes. Bookmark the permalink.